Precious Ramotswe is facing a new challenge. Grace Makutsi has gone out on maternity leave after the birth of her and Phuti Radiphuti's son--and the office is suddenly quiet. Too quiet. 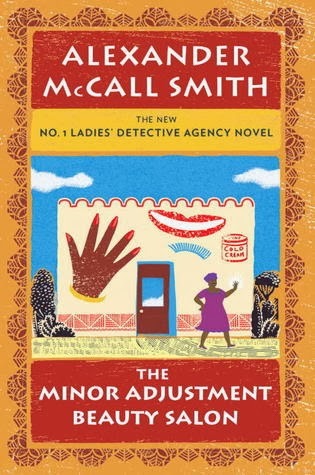 It's been a long time since Mma Ramotswe worked on a case without bouncing ideas off Mma Makutsi, and she finds it's not just Grace's awesome office skills she misses. But life and business must go on, and she has not one but two cases to work on. Mma Soleti, owner of the Minor Adjustment Beauty Salon, is the target of a nasty whispering campaign that's driving away her customers. And Mma Sheba, a lawyer Mma Ramotswe met a few years ago at a networking lunch for women professionals, wants to know if the young man who has come forward as the heir to an estate she's handling is really who he says he is. This is a really nicely done short, making very effective use of compression and mood. Humans have colonized "the Bubble," the local region of our arm of the Milky Way, relatively free of dust. 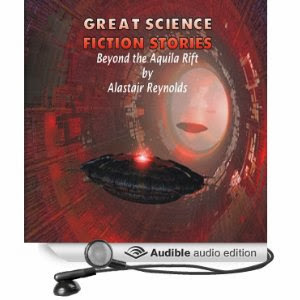 They've done it using a network of FTL travel gateways left behind by some ancient space-faring species they know nothing about except that they left this network behind. Humans have learned how to use, but don't fully understand it or the principles on which it works--so sometimes, things go wrong. Ships wind up somewhere other than where they expected to go, and the crew is just stuck with the problem of getting home again. Depending on how far off course that is, that might take days, or weeks, or months. 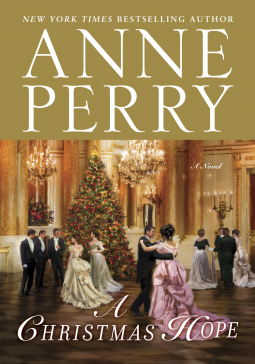 Amelia Peabody Emerson is getting restless in English domesticity, and so is her husband, Radcliffe Emerson. Oh, they love their son Walter, a.k.a. 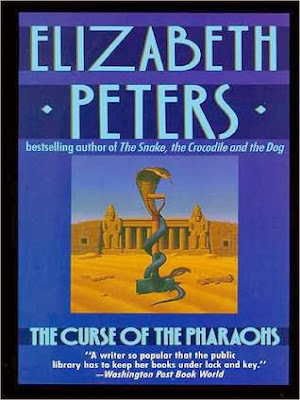 Ramses, dearly, but they were not meant to live quietly at home in England, Emerson teaching archaeology rather than practicing it, and Peabody not having even that much professional outlet. They are rescued by the unexpected and not entirely welcome arrival one night of Lady Baskerville, widow of amateur archaeology enthusiast and funder of excavations, Lord Baskerville. 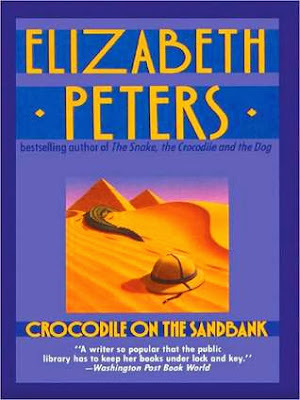 He had just discovered a new, possibly unplundered, tomb in the Valley of the Kings, and his sudden, seemingly natural death, is rumored to be the result of a curse. Also, his assistant, Armadale, has disappeared. People are quitting, and the tomb is endangered by being now known but yet incompletely guarded and not yet excavated. 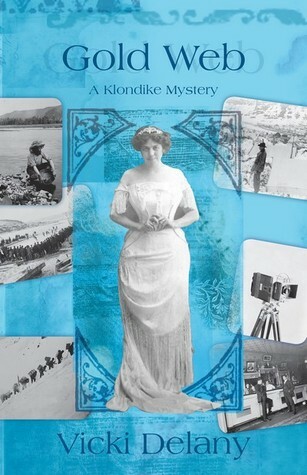 Lady Baskerville wants Emerson to take over as chief archaeologist of the expedition. Of course, because of young Ramses, he can't. It's 1898, and Fiona MacGillivray is running a dance hall in Dawson City, Yukon. "Dance hall" and "respectable" would not seem to go together, but it is 1898, and it is Canada, even during a gold rush. There are decency laws. And Fiona is raising a son, twelve-year-old Angus. The lead dancer is still fully covered when she finishes the Dance of the Seven Veils, and the Savoy is the most popular dance hall in Dawson. There's also the little potential difficulty of "Mrs" MacGillvray's own checkered past. So it's definitely not a good development when, as Fiona and Angus are leaving the Savoy out the back door, a man stumbles up to them, collapses to the ground, utters two words ("MacGillivray" and "Culloden"), and dies, stabbed to death. Claudine Burroughs, a volunteer at Hester Monk's clinic for prostitutes, simply endures her marriage to her husband, Wallace Burroughs. Dutifully attending yet another Christmas season social event with him, she meets a charming if slightly alarming Welsh poet, Dai Tragarron. Within an hour, a prostitute smuggled into the party is badly injured, and Tragarron is on the run. A servant alerts Claudine to the presence of a man hiding in their barn the next morning, and she discovers it's Tragarron. He insists he's innocent, that the three young men who claimed to have tried to defend the young woman are in fact to blame. Claudine gives him breakfast and sends him on his way. Later that day, the young woman dies. Tragarron is now wanted for murder. Elizabeth Hobbs Keckley was born a slave in the antebellum American South, became an accomplished seamstress and dressmaker, and purchased her own freedom and her son's. 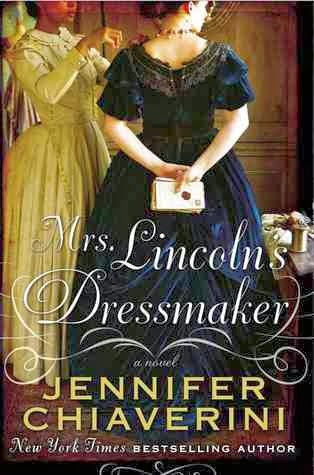 It's after this that this novel based on her life begins--when she is a dressmaker of rising distinction in Washington, D.C., in the months just before the start of the Civil War. During this time, her patrons were both Democrats and Republicans, Unionists and secessionists. If it seems odd to modern readers that one of her best and favorite patrons at this time was Varina Davis, wife of Jefferson Davis, soon to be President of the Confederate States of America, it's really an illustration of how messy and complicated human relationships really are. Mrs. Davis values her skills and likes her personally; she's perfectly sincere, if utterly obtuse, when she asks Elizabeth Keckley to go with her family when they leave Washington for Montgomery, Alabama. 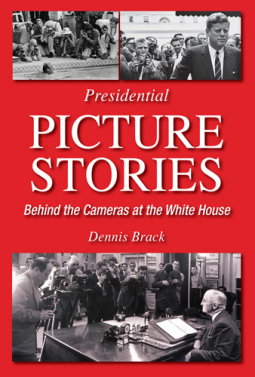 Dennis Brack, a White House photographer himself, gives us a very readable short history of the photographers who have worked the White House beat, from Woodrow Wilson to Barack Obama. We get engaging stories about the photographers, the presidents, their interactions. It was Teddy Roosevelt who first moved the photographers from the street to the first improvised photographers' room in the White House. We see that working space for the photographers and reporters evolving over the decades, because of the changing technology, needs, and numbers of the working press. Maggie Solomon has built a life and a business for herself on Windfall Island, the prickly, insular community descended from salvagers and wreckers, off the coast of Maine. Her mother grew up there, and left to marry Navy officer Phillip Solomon, but Maggie, their only child, a girl, and not willing to enter the Navy, was a sad disappointment to her father. Instead, she's returned to her mother's birthplace, become a part of the tightknit community, and built a charter business and a small airport. She's a loner, and distrustful of strangers, but that's not unusual on Windfall. 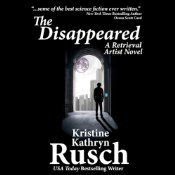 When she flies in Dexter Keegan, a stranger arriving on unstated business near the end of the tourist season, she's naturally suspicious that he means trouble for someone on the island. It's annoying that he's so attractive, and persistent, but she's not going to succumb. 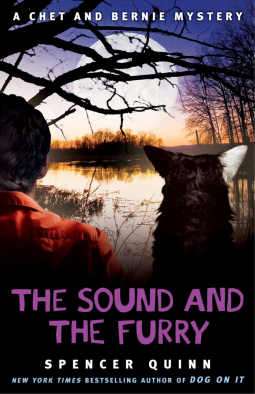 Chet and Bernie are back, and due to Bernie's odd habit of befriending the perps he gets locked up, they're on their way to Louisiana, to look for the only honest member--and almost the only smart member--of the Boutette family, who has mysteriously gone missing. Frenchie Boutette, now doing time including working a highway cleanup crew as a prisoner of the state of California, is worried because his wife, Vannah, reports that his brother Ralph is missing. Frenchie has convinced his brothers, Duke and Lord, his wife Vannah, and his mother Mami, that Bernie is the one who can help. Someone needs to help, because Duke, Lord, and Baron (Frenchie's real name) aren't that bright, and being criminals, going to the police doesn't seem like an option. From around 1900 until the 1950s, when Jonas Salk developed his polio vaccine, the US and other developed countries were stalked by the fear of polio, the dreaded crippler of healthy children and adults. The treatment of polio rested on certain beliefs for which the medical community believed it had ample scientific evidence. Among these was the belief that the polio virus attacked the central nervous system and only the central nervous system--paralysis was the result of lesions on the parts of the brain that controlled those body parts. It was also believed that this caused affected muscles to be flaccid. Treatment centered around immobilizing the limbs, and even the whole body, with splints or casts. Life-long crippling was believed to be inevitable, and the goal was to avoid deformities and keep the limbs straight and normal-appearing. There were few prospects for the permanently crippled, and institutionalization was frighteningly common. The person who changed this was not Jonas Salk with his vaccine. He came later. The first liberator of the polio-afflicted was an eccentric Australian bush nurse, Sister Elizabeth Kenny. Kenny was born in 1880, and after an extended stay with a doctor when she was ill as a child, she developed an interest in medicine and nursing. 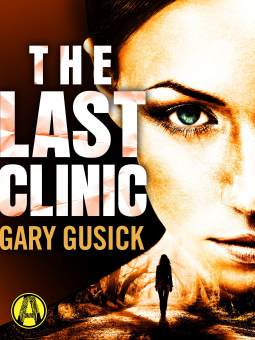 She worked for years as a bush nurse--the only easily accessible health care in much of small town and wilder regions of Australia. She served as a nurse in the Australian army during World War One (where she acquired the title "Sister," the title that the British and Australians give to senior nurses.) When she returned home after the war and resumed her bush nurse practice, she found herself dealing with growing numbers of polio patients. Without the medical education of a registered or graduate nurse, and with no doctors or hospital nearby, she developed a therapy plan based on her own careful observation of symptoms. Where doctors saw some muscles flaccid, she saw other muscles in spasm, and treated her patients with hot packs, manipulation, and exercise. She concluded that the polio virus did not limit itself to the nervous system, but directly affected muscles and skin. This was turning not only the treatment but the understanding of polio on its head, and when Sister Kenny took her new therapy and new theory first to Brisbane and then to the UK and the US, she was embarking on a years-long struggle to be heard and to have both her therapy and her theory accepted by the medical profession. 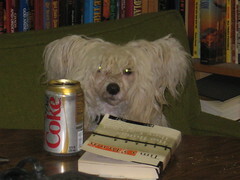 Rogers gives us an enlightening view of Kenny, her supporters, and her critics, in Australia and in her second home in Minnesota in the US. Kenny was such a strong personality, hard-headed and often abrasive, and truly objective information is hard to come by; people loved her or hated her. She was not deferential toward doctors, as both gender and class expectations required; she tended to regard all questions as challenges; and she was so certain she was right that the prospect of controlled studies of her therapy vs. traditional polio therapy seemed deeply unethical and unacceptable. She was also, as mentioned before, abrasive, intolerant of questions, and a much better clinician than a teacher. She didn't make it easy for people to give up their own strongly-held views and adopt hers, instead. On the other hand, her opponents disliked her therapy in part because she was a nurse demanding to be taken seriously as a medical innovator, and in part because her findings were "empirical"--based on her own clinical experience and observations--rather than "scientific," derived from laboratory work. 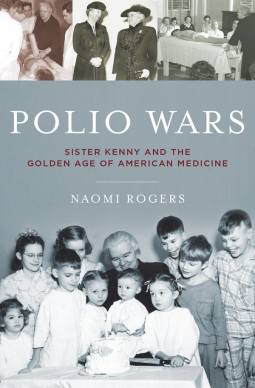 Rogers follows Kenny through her years of teaching, promoting, proselytizing her polio therapy, in Australia and the country of her greatest success and greatest frustration, the US. She gives us what is probably as balanced a view of Kenny as is possible. This is a woman who had a tremendous impact on polio treatment, yes, but also on medical attitudes to all crippling diseases and rehabilitation of patients suffering from those diseases or from physical handicaps due to injury. She was a celebrity in America, with friends and connections everywhere, including Hollywood, but rather less so in Australia. Kenny's fame faded quickly after her death, in part because she died in 1952, just a few years before Salk created the first effective polio vaccine. She revolutionized the treatment of polio, and then treatment of polio became irrelevant in the developed world. That's an excellent development for all of us, but Kenny ought to be better remembered than she is.